If you’re like me, you end up staring at all the mouthwashes on the supermarket shelf, wondering which one to buy. As you know, there are many different types of mouthwashes on offer, depending on what you’d like to treat. That is, some mouthwashes are designed for people struggling with bad breath (halitosis), others cavities, some gum disease and even people with dry mouth. Who knew! What ever the case, a mouthwash should be used on a daily basis, as part of your oral care routine. Just remember that rinsing with mouthwash alone is not enough to keep bacteria and gum disease at bay. Dr Joy Antony, Specialist Orthodontist at Dr Joy Dental Clinic, Jumeirah branch recommends Colgate Plax, as it’s alcohol-free. He says, “this is because mouthwashes with alcohol tend to make your mouth dry by breaking down the mucus-like coating, which keeps the mouth moist.” As a result, bad breath may worsen due to the suitable condition for bacterial growth. Dr Joy also insists that a mouthwash should contain fluoride. The great thing about fluoride is that it’s the number one weapon against tooth decay. Noted! 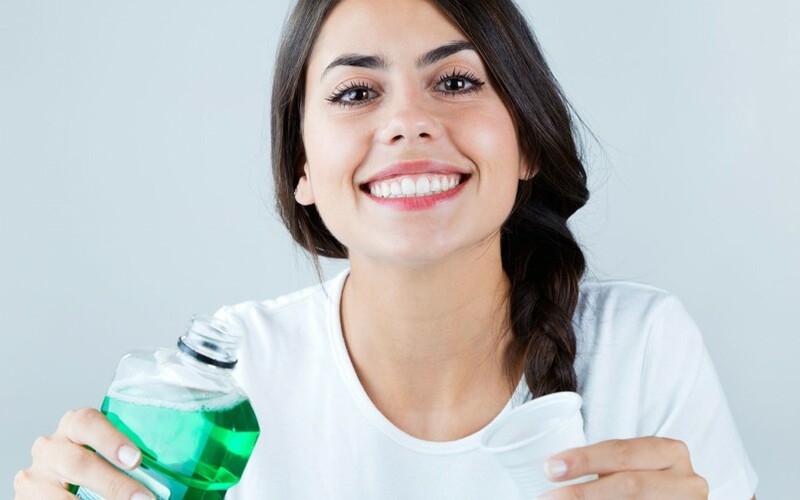 Now, if you’re using a mouthwash to hide bad breath, it’s best to pop along to your local dentist to find out the underlying cause, as mouthwashes may exasperate the problem over time. Also, keep in mind that some mouthwashes can stain your teeth, so best to check the ingredients before dropping it into your shopping cart. Chlorohexidine is known to produce staining, as it may react with residue left on the teeth from beverages such as coffee, tea and Coca-Cola. On a final note, for mouthwashes to be effective , you need to gargle for at least 30 seconds before spitting it out. If in doubt which mouthwash to use, ask your dentist or dental hygienist to recommend a mouthwash just for you! on the web for more info about the issue and found most individuals will go along with your views on this web site. Thank you Gabriel, we highly appreciate your feedback. Next post: Implant supported dentures equal maximum comfort!